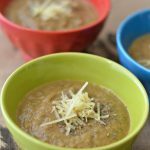 This baked zucchini is a great way to use up your zucchini squash! 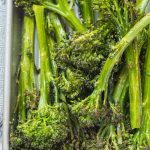 Make a large batch for entertaining, or a small batch as a summer side dish with dinner. 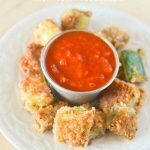 This breaded baked zucchini recipe is a family favorite. 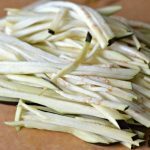 It’s full of flavor and makes for a great vegetarian side dish. Keep it vegan by leaving out the parmesan cheese. Our guests always love this recipe too. You can also make it with eggplant. 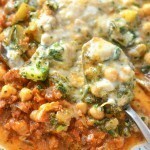 We find that most recipes that work well with zucchini also work really well with eggplant. For example, we love zucchini noodles aka as zoodles just as much as we love our eggplant noodles. Make our baked zucchini in less than 30 minutes! 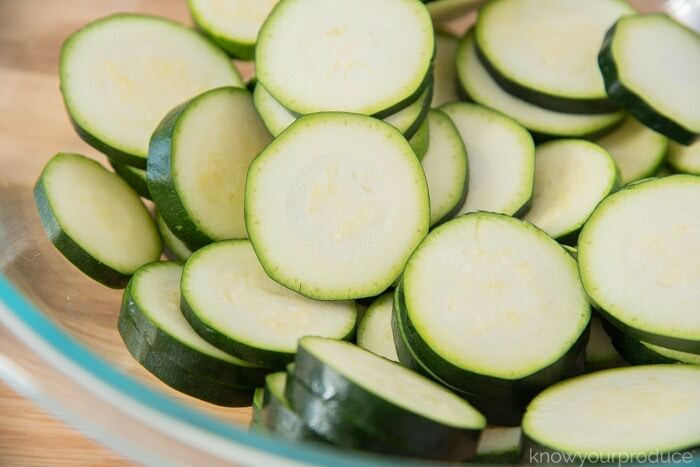 Slice up your zucchini into thin coins. Once you have cut the desired amount of zucchini you can start to assemble the zucchini into an oven safe dish. 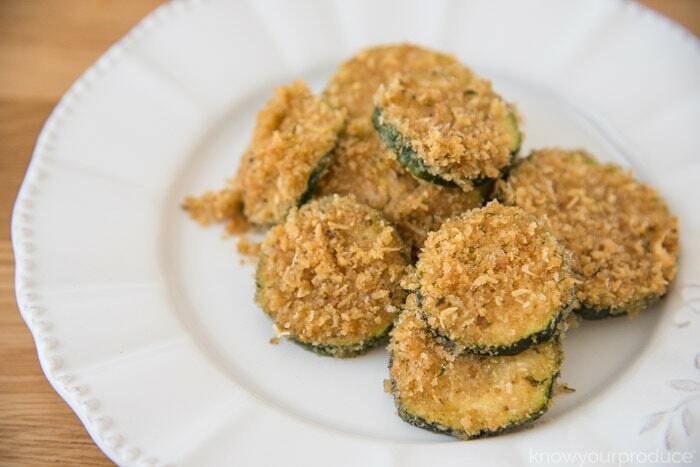 Place down one layer of zucchini, spray with olive oil, then sprinkle on the breadcrumbs mixture. Another layer of zucchini and repeat the process until you are out of the zucchini. Give another good spritz of olive oil and then bake. 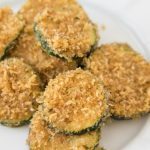 Place the zucchini in oven and let it bake for about 30 minutes or until the desired texture, we like it with a little bite, not mushy. 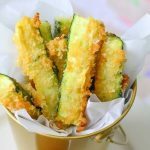 Allow the baked zucchini to cool 5 minutes before serving as zucchini can be very hot. Once it’s done you can serve it right away. We like eating this whenever we get fresh zucchini from the garden. 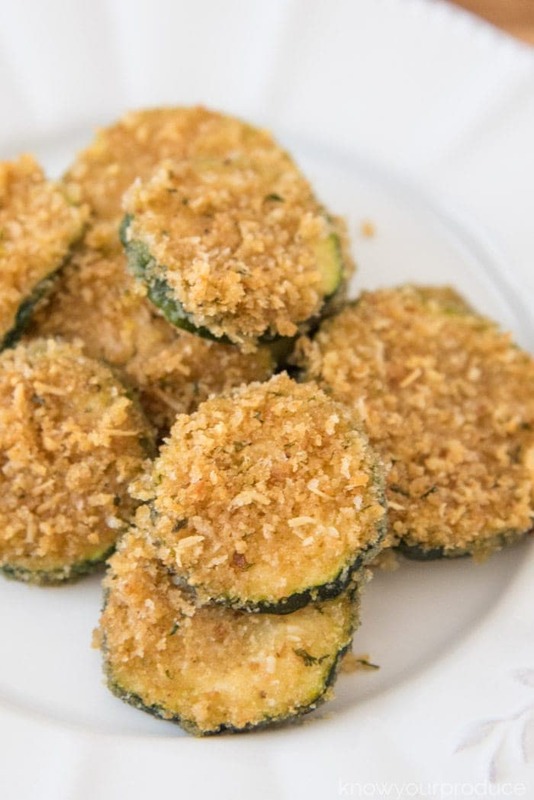 It’s a delicious zucchini recipe and you could also use gluten-free breadcrumbs as well. Another fun idea for entertaining is making a small amount in little ramekins, it makes for an adorable presentation and kids will their own little dish. 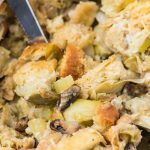 Mix together the breadcrumbs and parmesan cheese. Start to assemble the zucchini into an oven safe dish. 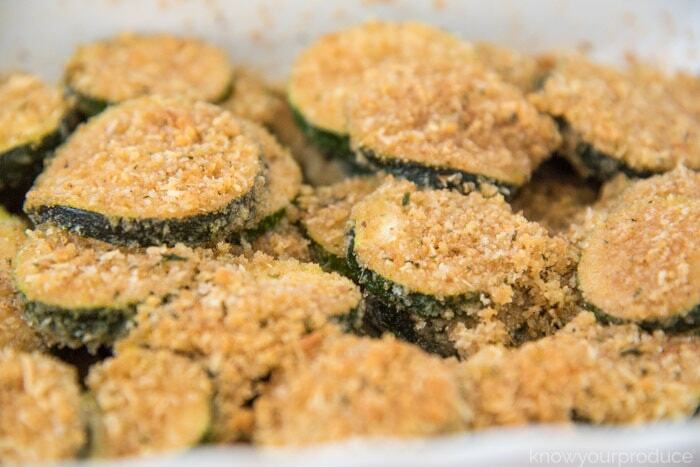 Place the zucchini in the oven and let it bake for about 30 minutes or until the desired texture, we like it with a little bite, not mushy.